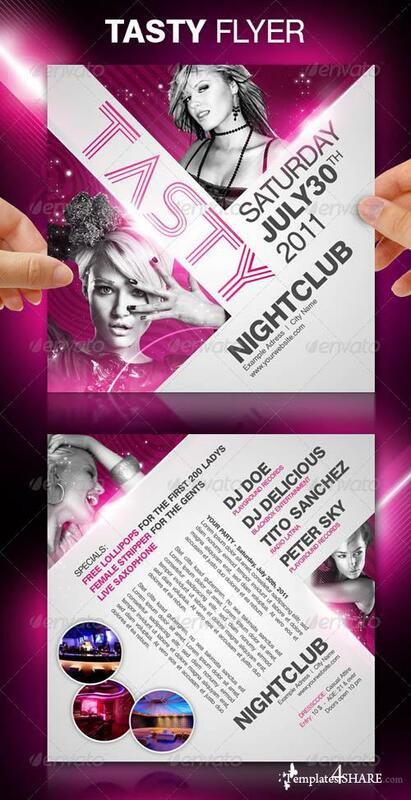 Tasty party flyer template for a urban or house music event. You can modify everything very easy and quick. It is well-assorted in folders and layers. You will get 6 PSD files. 1 Flyer in white/pink 1 Flyer in black/pink 1 Flyer in white/gold.